You may think July 4th is the only noteworthy holiday this month, but you’d be dead wrong. There’s plenty of other reasons to celebrate. These are all 100 percent real, certified holidays. If you would like to create your own holiday and feel special, nothing is stopping you. (In case you were wondering, “Make Your Own Holiday Day” is March 26th.) Now, onto the list..
Fasten your seat belts, the iPhone 6 is coming! With production starting next month, the rumored release date is Friday, September 19th for not one, but possible two iPhone models. Bloomberg reported yesterday that a 4.7 inch display and a 5.5 inch version would be realized together. Currently the iPhone 5s has a 4 inch screen. A larger screen was a request iPhone users have had for years, and it looks like it’s finally here. Aside from that, we polled Surpass employees and came up with 8 other improvements we’d like to see in the iPhone 6. Everyone’s spying on you. Government agencies, corporations, marketers, ISPs, employers, exes, criminals, parents, and… OH NO WHOS THAT BEHIND YOU?! If you are online or using your smartphone, someone is collecting your information. Luckily there’s plenty of browser extensions that help you better protect your privacy; here’s the five best that are free to download. OK so I really had no idea that there would be a Part Two to the post I wrote called ‘Quit Saying That! The List of the Worst Sayings on the Internet and in Real Life.’ But here it is. Why? Because after I posted the first one, the Facebook comments, tweets, and co-workers hit me with a ton of other phrases that drive them crazy. This time they are in no particular order. At the end of the day let’s think outside the box, shall we? You can’t have a new year without resolutions! Make 2014 the best year ever for your business by fixing your weaknesses and improving your strengths. 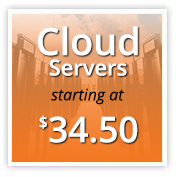 Web hosting has it’s own language full of acronyms, proprietary names, and technical terms. The following definitions are common expressions frequently referenced on this blog, in support chats, and around the web hosting industry. Halloween is coming up fast. Do you have an costume picked out yet? Don’t worry if you don’t because Surpass has you covered with 11 tech-inspired costume ideas for a great Halloween 2013. We are almost halfway through August, a boring month with no holidays. Or so you thought. For instance, did you know today is Left Handed Day? 10 percent of the population has permission to go wild today and celebrate their southpawness. For the rest of us, here’s 10 other holidays still in August that are worth celebrating. HTML is short for “HyperText Markup Language”, a language that uses ordinary text for describing websites. HTML is written with HTML elements consisting of tags enclosed in angle brackets. Most tags must have a opening and closing part. HTML tags are the hidden keywords inside a site that helps the browser display the content. Enjoy this cheat sheet for quick reference when you are building content for your website. This is just the basics; add to this list in the comments below. Mobile video sharing app Vine is celebrating it’s one year anniversary this month, and it’s come a long way in a short time, much like it’s maximum video run-time of six seconds. The video loop design is perfect and mesmerizing for the low attention span of the information age. Vine was bought by Twitter in October, added to the iPhone store in January, and now the Android device this month. Vine is the most used video-sharing application in the market, with Instagram Video fast on it’s heels. Surpass’ parent company HostDime uses Vine for contests and fun moments behind the scenes. But we have a long way to go to reach the artistry and creativity shown by these 10 people and brands who are excelling at the art of Vine. Here’s the best iPhone and Android tax preparation apps to help simplify this tax season. Google Chrome is a Greedy RAM Hog. Here’s How to Fix It. Google Chrome may be most people’s favorite browser, but it’s far from perfect. One of its biggest flaws is how much of your computer’s RAM it eats up. A weak WiFi signal is a modern day nightmare. This guide will help you understand why your WiFi signal can become weak and how to improve it cheaply. A study from Stanford University found that 75% of the 200 students surveyed slept with their cell phones next to them on a nightstand or under their pillow. Almost three-quarters of 18 to 44 year olds sleep with their phones within reach, according to a 2012 Time/Qualcomm poll. The odds are that you and most people you know are sleeping with smartphones. With technology constantly changing, it can be hard for some to keep up with the latest gizmos and gadgets. However, even the most technologically challenged can tell that tablets and laptops seem to be the in thing right about now. It is a fact that more and more individuals, businesspersons and casual consumers, are relying on such devices in order to get the job done. It seems that these items are hot…literally. HostDime Resources Turns 10! Here’s Our 10 Most Popular Articles. HostDime’s client resources page has been around for over 10 years now, providing clients with helpful guides, informative tools, answers to server questions, and more easy-to-digest resources. Watch a series of three videos to help beginners get their Wordpress website up and running via cPanel. Many bloggers create interesting content, but fail to optimize their posts and website. Fixing this will result in increased visibility. Your guide to checking out Downtown Orlando in under 2 hours, with HostDime Alex as your tour guide.